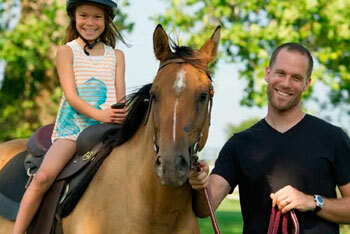 Nookside Stables is Lancaster’s only Horseback Riding Adventure. Nookside is now serving ALL ages with exciting guided horseback rides through obstacle courses in picturesque Lancaster County, and offers new Pony Wagon Adventures for a full hands-on experience for the whole family. Pony rides and birthday parties, too. Check rates and make a reservation here. Nookside Stables is one of many attractions and fun things you’ll find throughout the Lancaster area. Here are many more Things To Do in Lancaster County, including Things To Do for Children in Lancaster.